Italy is home to many galleries and museums that offer some of the world’s finest art pieces. However, the challenge for art lovers becomes choosing a museum that can fit both their budget and personal preference. If you consider both factors important in your museum of choice, then you might want to consider the Vatican Museums. 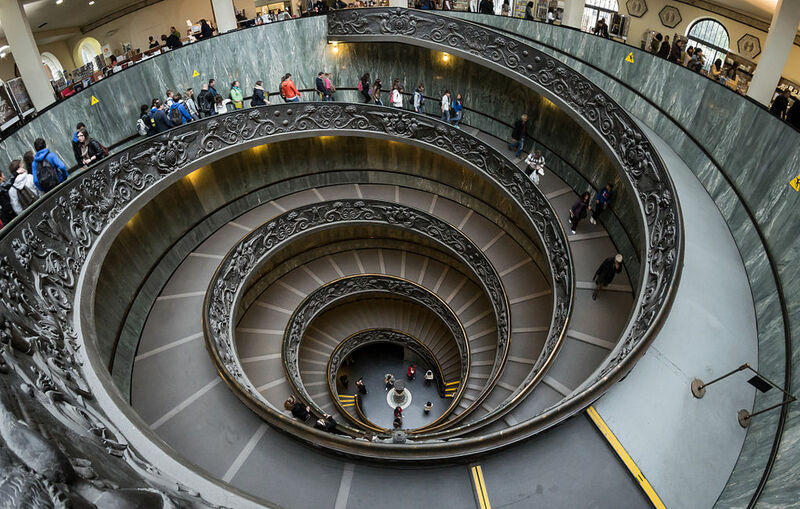 During the last Sunday of every month, the Vatican Museums opens its doors to the general public for free. Full entry tickets to the Vatican Museums cost €16.00 typically, with an additional €4.00 charge for “Skip the Line” online booking. Discounts are available to students, seminarians, and attendees of religious colleges. The Vatican Museums is home to roughly 70,000 works; 20,000 of these works are currently on display. It is the 6th most visited art museum in the world and attracted 6 million people in 2013. There are 54 galleries contained within, including the famous Sistine Chapel. The acquisition of the sculpture of Laocoön and his Sons is known to be the origin of the Vatican Museums. After it was discovered in a vineyard in 1506, Julius II purchased the sculpture and put it on display at the Vatican. Since then, an immense collection was built up by Popes throughout the centuries. The masterpieces here include renowned classical sculptures and some of the most important Renaissance artwork in the world. The Museums employ 640 people who work in 40 different departments and capacities including administrative, scholarly, and restoration. One of the museum’s more notable art galleries is the Pinacoteca Vaticana. It was inaugurated in 1932 and was built under orders of Pius XI, who sought to collect all of the paintings that the Vatican had acquired throughout the years and display them in a single location. There are currently 460 paintings spread out over eighteen rooms and features works from the 12th up to the 19th century. Works by Giotto, Olivuccio di Ciccarello, Raphael, Leonardo da Vinci, and Caravaggio among others can be found here. The Collection of Modern Religious Art was added to the Museums in 1973 and contains paintings and sculptures from Vincent van Gogh, Salvador Dali, Marc Chagall, and Pablo Picasso, among others. The Vatican Historical Museum houses a collection of portaits of all the Popes of the Vatican from the 16th century up to the present, as well as memorabilia from the Papal Military Corps from the 16th and 17th centuries, and religious paraphernalia related to papal rituals. Also in the collection are the Popemobiles – vehicles that have been used by Popes and Cardinals, from carriages to cars. It is a popular practice for people to queue up for several hours to gain entry into the Vatican Museums. On free days, especially, expect crowds to swell up. If you wish to skip the line or are unavailable during the dates provided above, purchase your tickets via Tour Italy Now instead by clicking here to buy Vatican Museums Tickets.